Prashant Battul and Jeff like this. Looks like the CVCV.in buyout didn't hold? Don't think it will hold until we have a promo. But promo is a bad way to expect buyout. JackD and Jeff like this. Jeff and JackD like this. Here are list of all available LLLL.INs as of the scan done on Jul 27th, 2017. 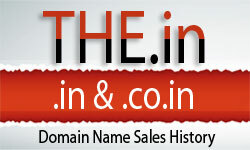 You can download the zip file here with the list of available domains.